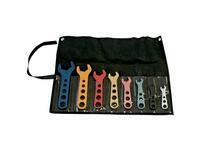 Affordable & color coded for fast identification. 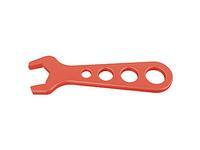 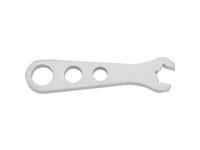 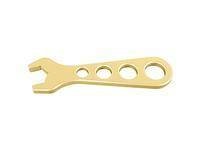 These Proform wrenches offer resistance to scratching hose fittings as they are being tightened and loosened. 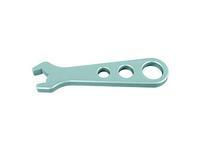 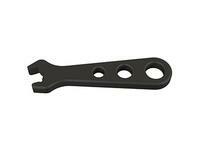 Proform 66970C A N Hex Wrench #3 1/2"
A N Hex Wrench #3 1/2"
Proform 66971C A N Hex Wrench #4 9/16"
A N Hex Wrench #4 9/16"
Proform 66972C A N Hex Wrench #6 11/16"
A N Hex Wrench #6 11/16"
Proform 66973C A N Hex Wrench #8 13/16"
A N Hex Wrench #8 13/16"
Proform 66974C A N Hex Wrench #10 1"
A N Hex Wrench #10 1"
Proform 66975C A N Hex Wrench #12 1-1/4"
A N Hex Wrench #12 1-1/4"